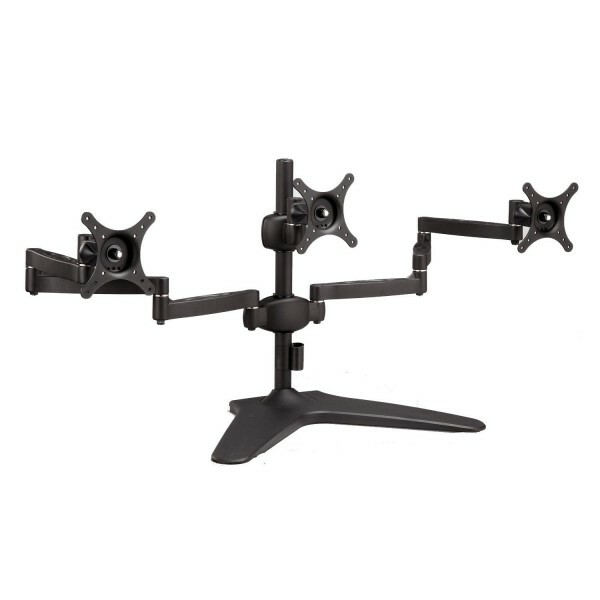 The mount is made of high grade aluminum alloy and iron. It fits most LCD monitors up to three 24" monitors. Supports up to 17.6 lbs per monitor. 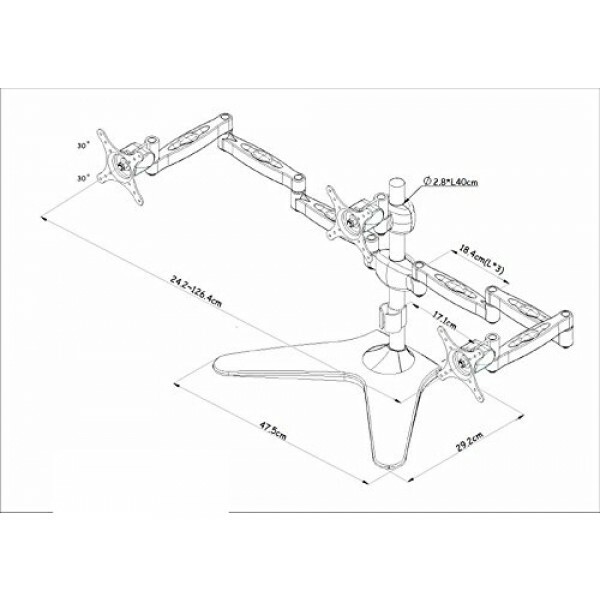 This LCD Monitor desk mount with 29.2” double-Linked swing arms provides a secure and elevated position for two flat-panel screen monitors. The monitors can tilt 30 degree up or 30 degree down, and rotate 260 degree to rotate to landscape or portrait position. Height adjustable along the pole. Swivel left and right. It's fully adjustable feature enable a comfortable and productive viewing position that helps reduce eye fatigue, neck, and back strain. LCD monitors can be easily rotated around the pole to allow others to view presentations and other multimedia from almost any direction. Durable aluminum alloy and iron construction and a sturdy base provide a quick and easy stand to a desktop or other horizontal surface. There's no need to drill holes into desks or countertops. 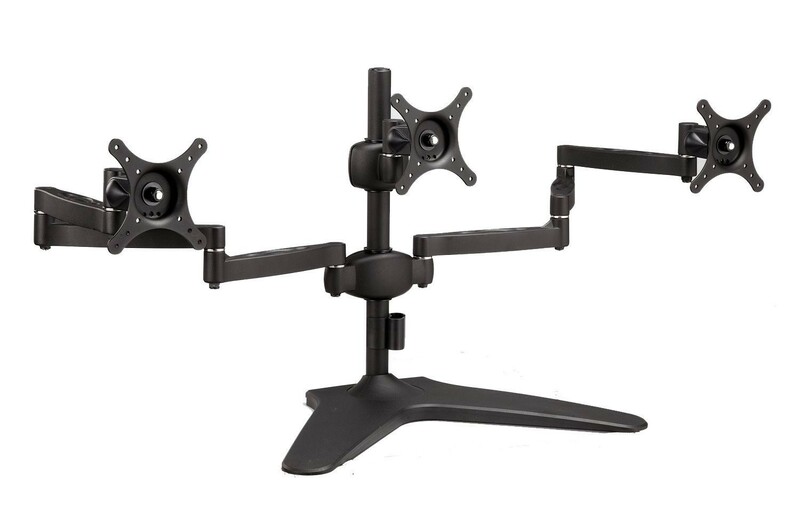 Support up to three 24" monitors and weight up to 13.2 lbs per monitor/ 39.6 lbs total. All aluminum alloy (base and arms) and iron constructed, beautiful and solid. All installation tools, including Wrenches, are included in the package.